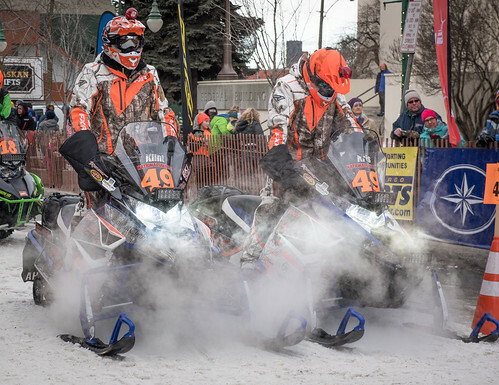 Fairbanks is the official home of the Iron Dog finish line, don’t miss the exciting finish of the race in downtown Fairbanks. 9:30 am | Iron Dog setup complete. 11:30 am | Announcements and preparing for the 1st Place team to arrive. 12:00 pm | Waiting for the first team to arrive. 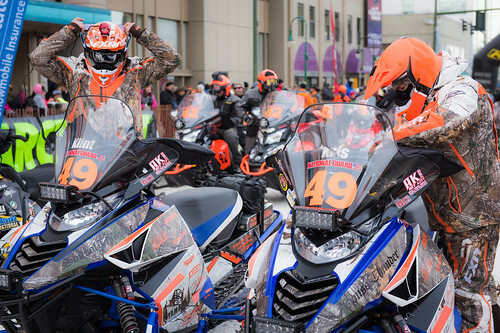 3:00 pm | Iron Dog Merchandise tent closes. 5:00 pm | Last teams to arrive. 6:00 pm | Meet and greet before the Awards Ceremonies (cocktail hour). 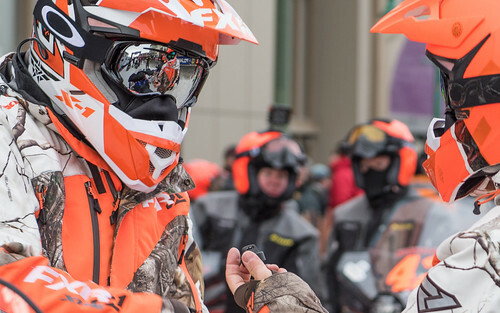 7:00 pm – 9:00 pm | Awards Ceremonies begin. 10:00 pm | After-party at the Westmark. The route veers south of Fairbanks through the Fort Wainwright Recreational Area toward North Pole, Alaska and Chena River Lakes Flood Control Project. 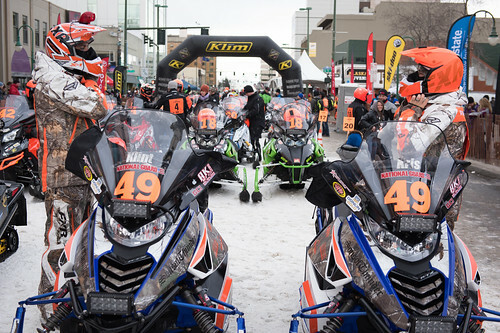 Racers will drive north through the Flood Project and onto the Chena River heading back toward downtown Fairbanks. They will finish behind the Morris Thompson Cultural and Visitor Center. 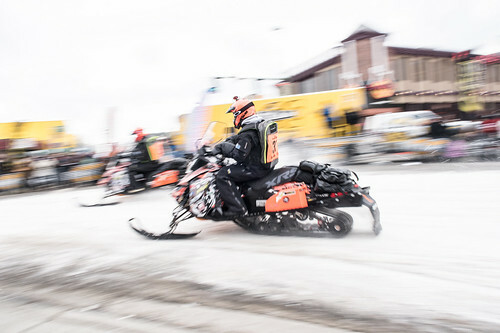 Special thanks to John Johnston, Jeff Dyer, Dennis Falldorf, Roger Brown, Compeaus, Fort Wainwright and Army Corps of Engineers for all the effort keeping this route safe and well marked! We expect the 1st Place team to arrive sometime around 12PM (noon) on Saturday, February 25, 2017. Stay tuned to our Facebook page and this website for the latest news about this and all our events. 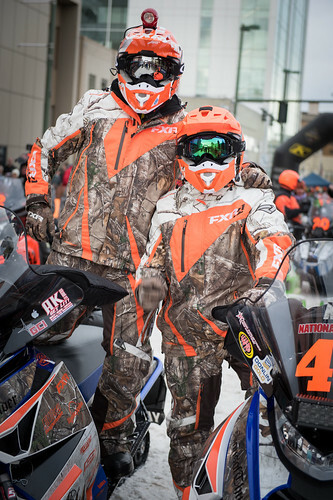 Planning to come to the Finish of the Iron Dog race? 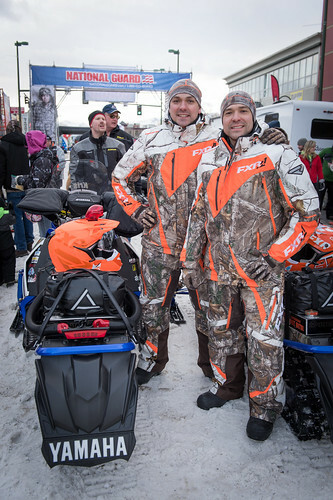 Stay at the Official Iron Dog Hotel, the Westmark! 813 Noble Street, Fairbanks, Alaska Iron Dog Rate: Call for details. Most importantly, we wanted to give Fairbanks a big show and attract more fans and attendance. 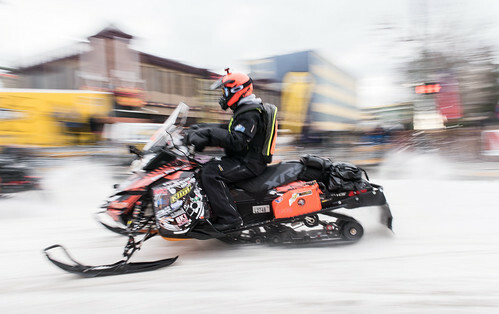 Come to Fairbanks, check out the events, the incredible Morris Thompson Cultural and Visitors Center, Yukon Quest headquarters and the sponsors of both great events going on that day!